Our Boston personal injury lawyers recently discussed the dangers of bicycle accidents at one main intersection in the city. While that intersection is definitely dangerous for bicyclists, it’s also extremely dangerous for pedestrians. We’re talking about the intersection of Vassar Street and Massachusetts Avenue. According to the Boston Globe, thousands of motorists, bicyclists and pedestrians cross through this intersection every day. Since 2007, there have been approximately 55 accidents reported at that intersection. One of them fatal and nearly 25 of them resulting in injury. “For the amount of volume that goes through that intersection…I would say it is one of our highest accident locations in the city,” said Police Deputy Superintendent Jack Albert. Our Massachusetts bicycle accident lawyers are concluding our 6-part blog series with a discussion of the risks, dangers and consequences of pedestrian accidents in the state. This is the 6th entry of our blog series discussing New Year’s Resolutions that residents can take in 2012 to make our roadways safer for everyone. Road design enhancements were made to Massachusetts Avenue last year. But many believe that not enough has been done. Officials with MIT urged transportation officials to adjust the timing of the traffic lights to make the intersection more pedestrian friendly. Still, the Vassar Street and Massachusetts Avenue intersection remains one of the city’s top hot spots for these types of accidents. In 2011, there were nearly 20 accidents reported there, making it second in the top five most dangerous intersections in Massachusetts. The number one most dangerous intersections was at Gardner Street and Massachusetts Avenue in Harvard Square. According to city records, of the 55 accidents that occurred at this intersection since 2007, three of them involved pedestrians. A majority of these accidents involved motorists making right-hand turns and colliding with bicyclists and pedestrians because they just failed to see them. Nationwide statistics reveal that there are nearly 110 million Americans who walk regularly as a mode of transportation. The New England area accounts for more than 10 percent of these pedestrians. According to the Commonwealth of Massachusetts, the City of Boston is ranked one of the most dangerous areas for pedestrian accidents out of the country’s 52 largest metropolitan areas. In Boston, an average of 485 pedestrians were killed on our city’s roadways from 2000 to 2009, according to Transportation for America. 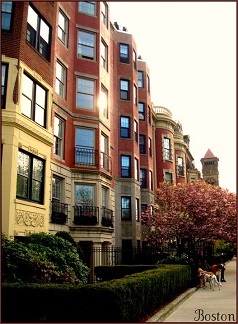 Our Boston pedestrian accident lawyers are asking residents to be cautious when walking through the city. We understand the convenience that comes with walking in the area, but we ask that everyone be cautious when doing so. Be cautious and alert for passing motorists. Our sidewalks may be flooded with pedestrians, but our roadways are flooded with dangerous drivers. Let’s all work together to travel safely among one another to enjoy a safe 2012. If you or a member of your family has been injured in a traffic-related pedestrian accident in Boston or anywhere in Massachusetts, contact Massachusetts Personal Injury Lawyer Attorney Jeffrey S. Glassman for a free and confidential appointment to discuss your rights. Call 1-877-617-5333.